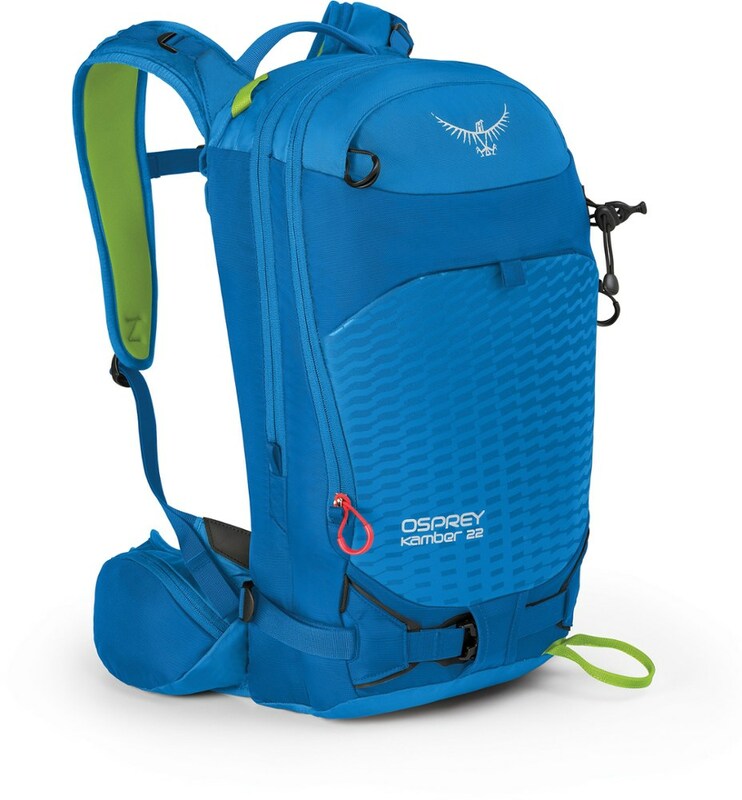 You wear the Gregory Targhee 45 Backpack to help get you deep into the solitude of the backcountry. Its VertFlex suspension system both stabilizes your load and allows the torsional flexibility you need to ski dynamically. The molded back panel sheds snow so your gear stays dry, zips open for access, and Gregory's classic lumbar pad pushes the weight to your hips for all-day comfort on those powder-capped peaks. Both your avalanche gear and your main compartment are easy to access--thanks to the front pocket and rear barn door panel--even when you have your skis, snowboard, or snowshoes strapped on. 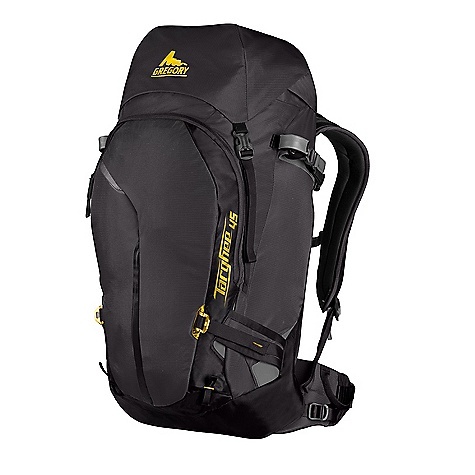 With reinforced Hypalon where you strap your skis and highly durable HD nylon reinforcements at critical areas, the Targhee will be on your back for many years in the backcountry. Its harness has a slim profile to ease your mobility on the slopes, and the insulated hydration sleeve prevents water from freezing in frigid weather. Flaps and loops for your helmet and ice axes leave you well-prepared for skiing in the backcountry safely and efficiently. 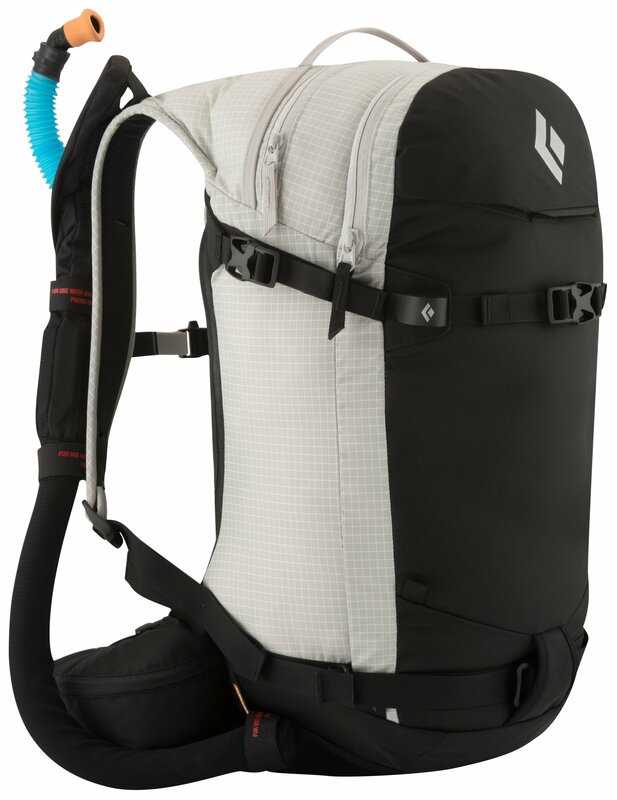 Offering extra capacity for guides and extended backcountry adventures, the Targhee 45 is our largest ski and snowboard pack. With 45 liters of space, it can support winter overnights on its own or provide a generous supplement to your gear sled on longer expeditions. Stable, torsionally flexible VertFlex suspension and full perimeter compression keep it balanced under load and close to the body for the descent, while ice tool and gear attachment points add mountaineering capability. . . . . . 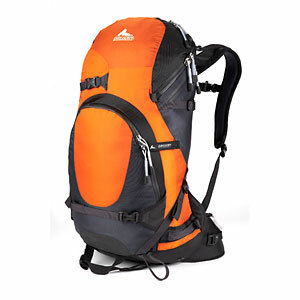 This product will be shipped directly from Gregory Packs and will leave their warehouse in 2-3 business days. 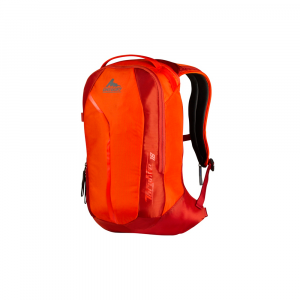 Eligible for UPS ground shipping only. . . . . . . . Hydration sleeve with insulated shoulder harness hose cover . . A-frame and stowable diagonal ski carry straps . . 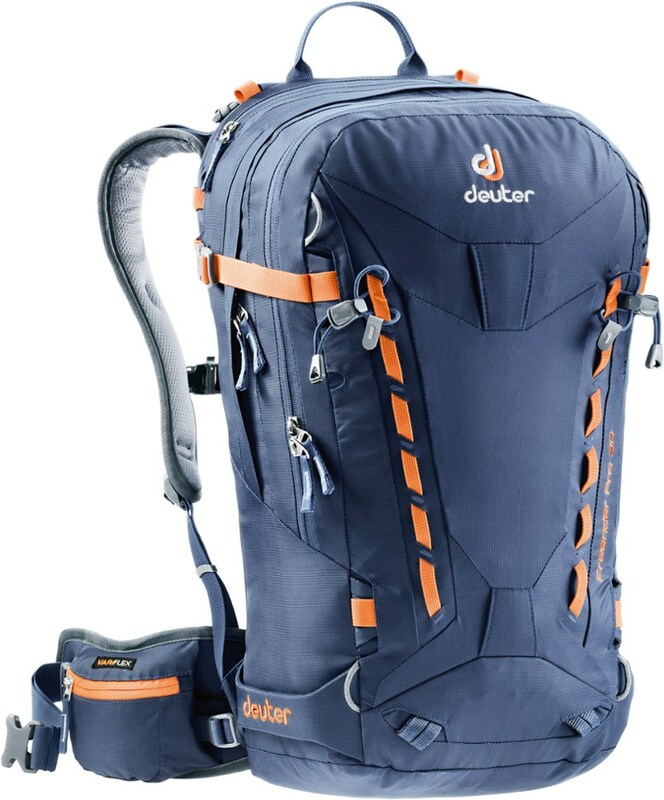 Dedicated avalanche safety pocket . . Stowable diagonal ski carry straps . . Top-loading design with full-length back panel access to main compartment . . Oversized top accessory and goggle pocket . . Internal security pocket . . Stowable vertical snowboard / snowshoe carry straps . . Gear loop, ice clipper slots, and zippered accessory pocket on hipbelt . . Dual stowable aluminum toggle ice axe retainers . . Dual-layer HD nylon bottom panel . . Winter- and glove-friendly materials and hardware. . 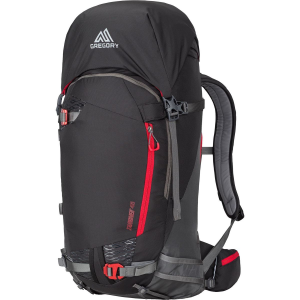 Weight: 4.2 lbs.. .
A winter workhorse with ice tool attachment points, the Gregory 45 Targhee pack lets you carry on your back what you can't fit in the sled, with a roomy compartment for stowing safety gear and layers. CLOSEOUTS . 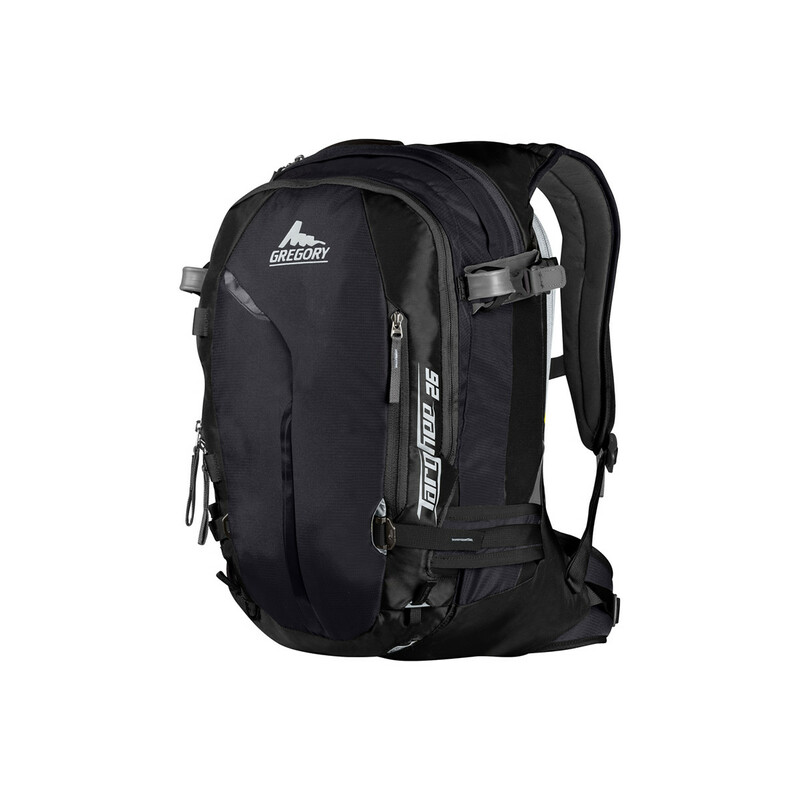 Gregoryand#39;s Targhee backpack dedicates plenty of supply room for overnight stays in the snowy backcountry and even more for all the essentials, including an avalanche safety gear organizer compartment, stowable ski and snowboard carry straps, and a hydration sleeve with an insulated hose compartment. The VertFlex suspension system delivers winter sport-specific support and range of motion. Available Colors: BASALT BLACK. Sizes: L.